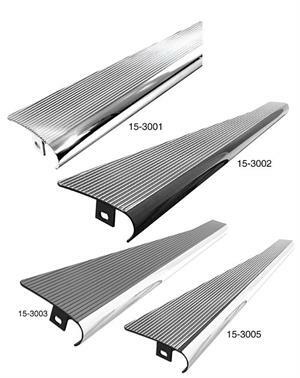 Heavy Duty Billet VW Running Boards. Fits all Type 1 Beetles. Sold in Pairs These Powder Coated Running Boards come All Black with Polished Ribs, Black with Polished Sides, Fully Polished and Polished with Black in the Ribs. Click more info to choose yours.